Ever since Exchange 5.5 I have been longing for an easy way to import/export mailboxes to and from PST. I have to admit that Exmerge was a pretty decent tool back then, however, although it did work, I was very disappointed by the requirements of import-mailbox export-mailbox on Exchange 2007, and I prefer to forget the frustration of using these commands with Exchange 2010 RTM. I can happily say that all my problems are now quickly forgotten after the release of Exchange 2010 SP1 and the new commands New-MailboxImportRequest and New-MailboxExportRequest. I am happy to say that installing Outlook on the server is no longer a requirement to export/import mailboxes and this, for me, was great news! If you rush things and directly try to run New-MailboxImportRequest cmdlet it will fail with the following error, this is because, by default, no one is assigned the permission to Import and Export mailboxes. For this reason we will start by creating a security group called “Mailbox Support” and assign to it the needed permissions to import – export mailboxes. To enable this group to Export-Import mailboxes we need to assign it “Mailbox Import Export” role by running the following cmdlet from Exchange Management Shell (EMS). This powershell command should be familiar for anyone who already tried to import-export mailboxes on Exchange 2010 RTM, in that case there is no need to run it again. New-ManagementRoleAssignment -Name "Import Export Mailbox Admins" -SecurityGroup "Mailbox Support" -Role "Mailbox Import Export"
You can check on the status of the export by using the Get-MailboxExportRequest cmdlet, this command will just show the status Queued, InProgress, Suspended, Completed. Now that we have gone over the export process I will cover the import process. In short, the procedure is rather similar to the export one but using MailboxImportRequest cmdlets. Of course all the prerequisites and permissions covered previously still apply here, so if you are just looking for the import process make sure to read the “Prerequisites and permissions considerations” section above. To get the status of the Mailbox Import Request the Get-MailboxImportRequest cmdlet is used. This will return the status of the request if it is Completed, Queued, InProgress or Suspended. 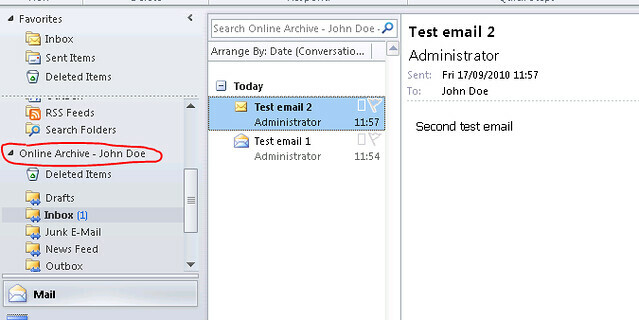 MailboxImportRequest and MailboxExportRequest are, for me, two key features in Exchange 2010 SP1. I have already used them to migrate a few hundred users’ archives from PSTs to their Online Archive mailbox and planning to migrate quite a few more in the next few months. The purpose of this article was to share with you what I have learned about these commands till today, and hope it will save you time and effort when you will need them. Ok, I am trying to follow this, I created New Object – Group (step 1) then I ran “New-ManagementRoleAssignment” command (from EMS). I closed EMS and re-opened it. But I still get “The term 'New-MailboxImportRequest' is not recognized as the name of a cmdlet”. What else I could be missing? I did not reboot the server. 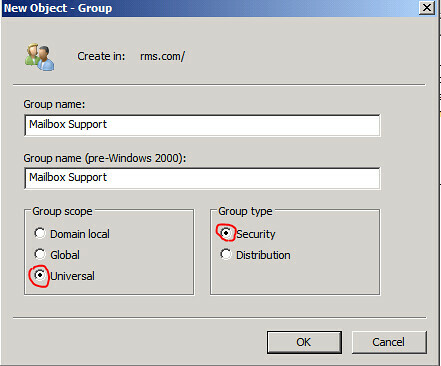 Did you add the user you are running the New-MailboxImportRequest as into the new group ? Are you sure you are running exchange 2010 SP1 ? Do you know if there is any possibility to use the New-MailboxImportRequest Cmdlet in Exchange 2010 Hosting Mode? Because there is no -organization parameter, i get always the error “Couldn't connect to the target mailbox.”. In the Get- Command of the same Cmdlet, the -organization parameter exists…? There are a lot of commands that are missing the -organization parameter. To get around that I use Get-Mailbox and then pipe the result to whatever command I’m trying to use that is missing the -organization parameter. Note that you omit the -Identity parameter in the second command since that is what is passed form the Get-Mailbox command. Great Post! Thanks. Is there a way to globally export all the mailboxes located within an entire exchange mailbox database to individual *.pst files for backup purposes? And then I want to export them to a .pst file on a remote location.